The Clemco Beacon blast light is a powerful 860-lumen LED light source to illuminate the work surface. Four assemblies are available: 12-volt DC and 120-volt AC models with either 50 ft or 100 ft of power cord. This all metal constructed Abrasive Light is durable, lightweight and economical. The cast aluminum ribbed body design allows for long wear life against blast media ricochet. Each system includes a 120 volt power supply unit which is mounted in a CSA/UL approved electrical box, power transformer, on/off switch(s), on/off indicator light(s), all fuses, twist-lock receptacles, main power indicator light, and indicator for 12 volt remote control connection. 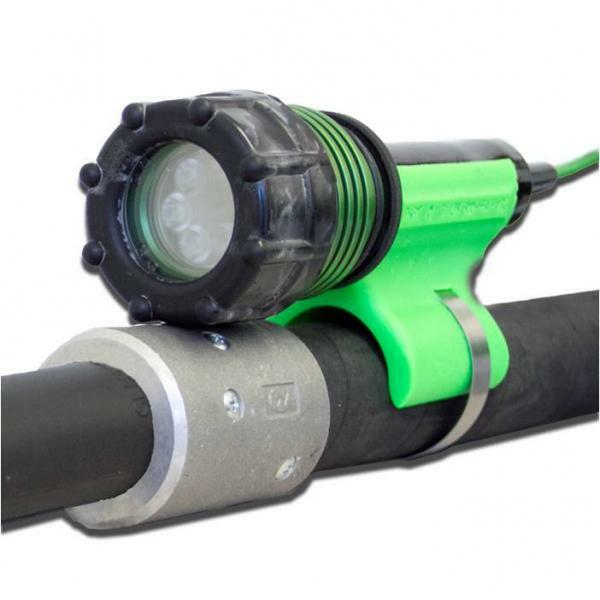 Also included with each system is the required amount of MOD-U-BLAST 12 volt Blast Light Assemblies c/w 55' power cord and fittings. Free standing and/or wall mountable. 3300S Air-cooled Abrasive Blast Light Single Outlet System comes with light, power pack and cord connectors. 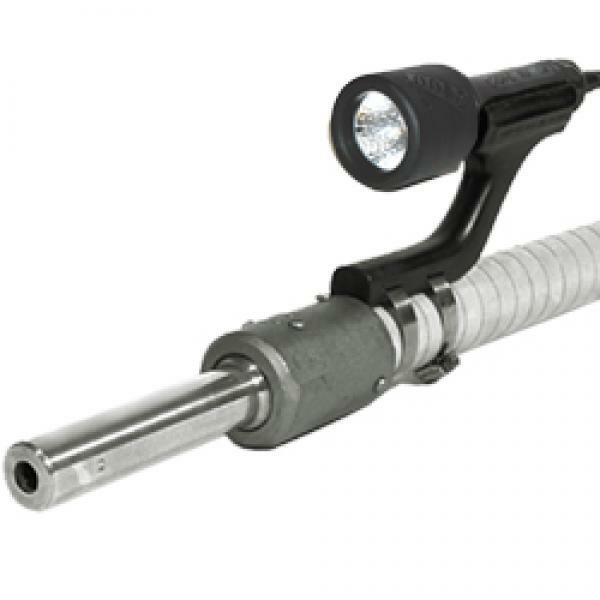 The 3400 INCANDESCENT NO-AIR POLYURETHANE BLAST LIGHT is the perfect light for small areas where you need maximum maneuverability in small spaces, with battery clamp options you can guarantee this light will help you get the job done with ease. An all polyurethane construction with additional options available, this is a perfect choice for your blast lighting needs. The 3475 6-LED NO-AIR POLYURETHANE-WRAPPED ALUMINUM BLAST LIGHT is the most quality light for blasting in its class. It packs a big punch with a refracted optical design for targeted focus at a 25 degree beam angle, making it the perfect choice for your lighting needs.